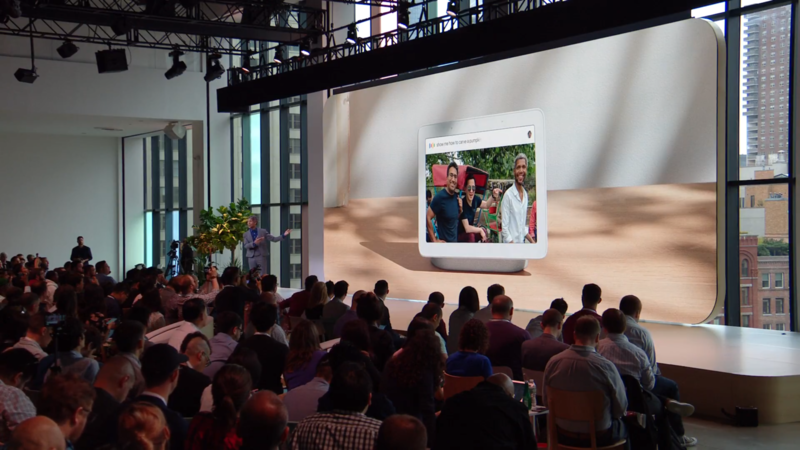 The Google Pixel 3 and the Google Pixel Slate are expected to be unveiled at the upcoming Made by Google 2018 event. The live-stream starts at 11 A.M. EDT. Find out what we've been up to this year. Watch the live presentation. October 9th, 11am EDT. Is that what it has come to nowadays? Unveiling of new phones with incremental changes? This is a recorded demo they are using right now, it is NOT live. The "Show me how to carve pumpkins" comes up on the screen before he actually says it. That how it been the past 3 years. Phone tech became stagnant. It's been regressing since the S5. 8 months of circle jerking with speculation and leaks, increasing cost, fragile glass bodies, permanent and smaller batteries that charge (wear-out) faster, no sdcard, no IR transmitter, locked bootloaders, less than 2 years of OS updates, rear speakers, no wireless charging, no head phone jacks, carrier bloat. I need a new phone, don't mind spending $700-800 and am disappointed with all the options. Edit: Forgot to mention the addition of bio-metric harvesting features like face detection, finger print readers, and retina scanners. Phones have gotten ridiculous. Incremental updates and higher pricing. What the hell? Ironchef3500 and LightsOut41 like this. Wake me up when it plays Crysis. Pixel Slate is the device of the year. You are looking at $900 before tax for this pos package? Add the insurance and it becomes a highway robbery!